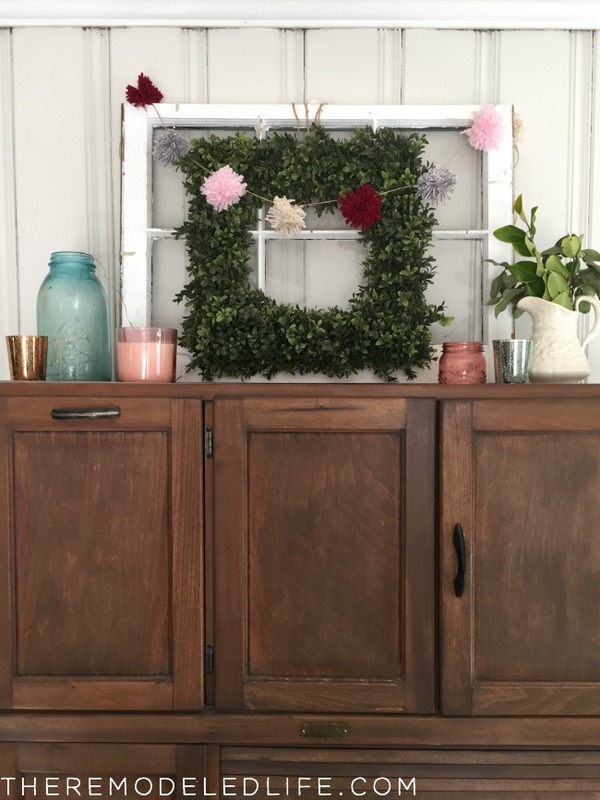 Do you decorate for the little holidays? I'm a big fan of having at least a little something out to change our home up for a bit. Valentine's Day is one that I enjoy adding a little color around the house for. Nothing crazy for fancy. 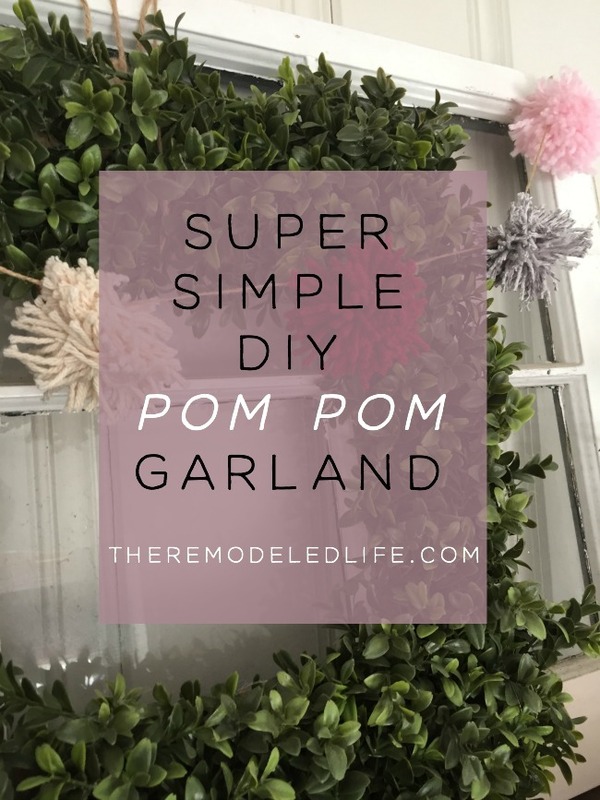 I made a little yarn pom pom garland to use for Valentine's that I'm sharing with you today...its so so simple anyone can do it and its a fun and easy craft to do with your kids too! 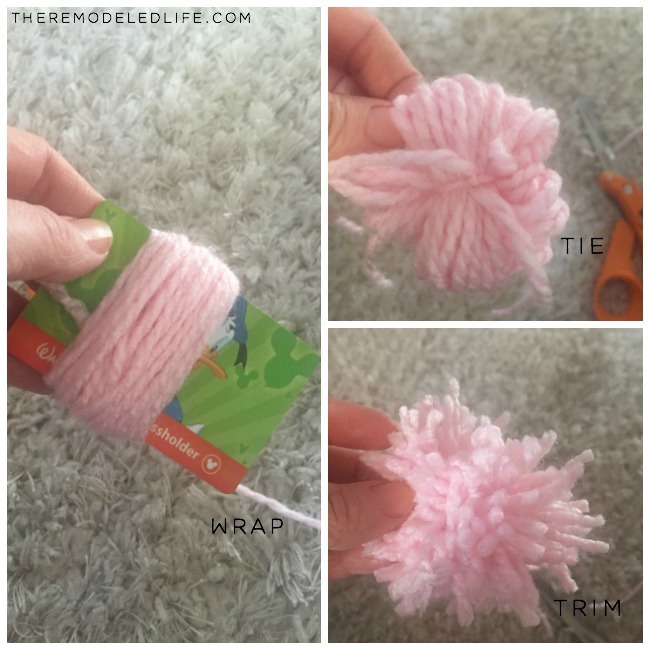 The hardest part about this craft is wrapping your yarn many many times around your card. 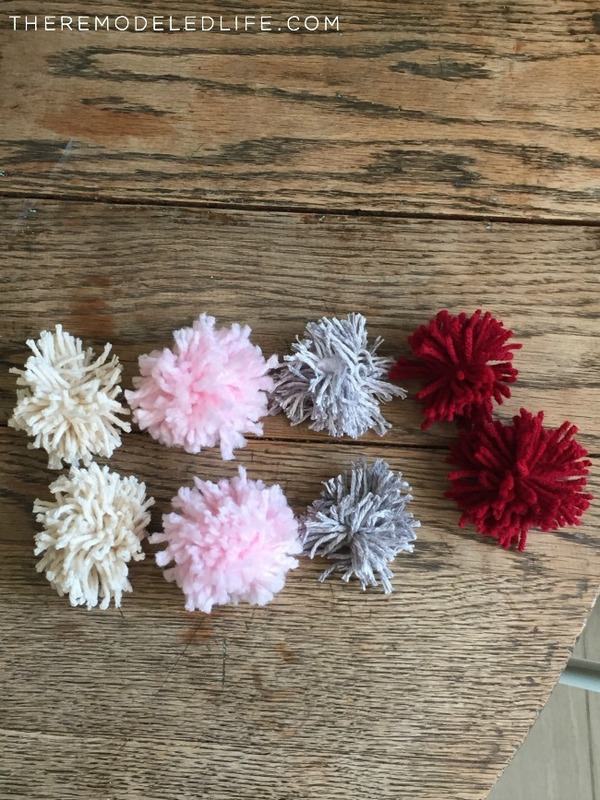 The number of times you wrap will determine the fluffiness of your pom pom. 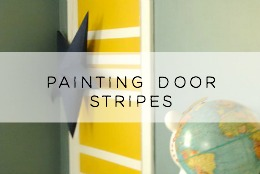 This is a great craft to do while watching a Disney movie or favorite Disney Vlogger (shout out Tim Tracker). After you have wrapped your yarn, cut off an extra piece and tie a knot around the middle of the yarn you just wrapped. Cut through the looped yarn on both sides. 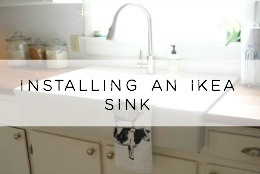 Finally, you just fluff and trim the edges and that's it! 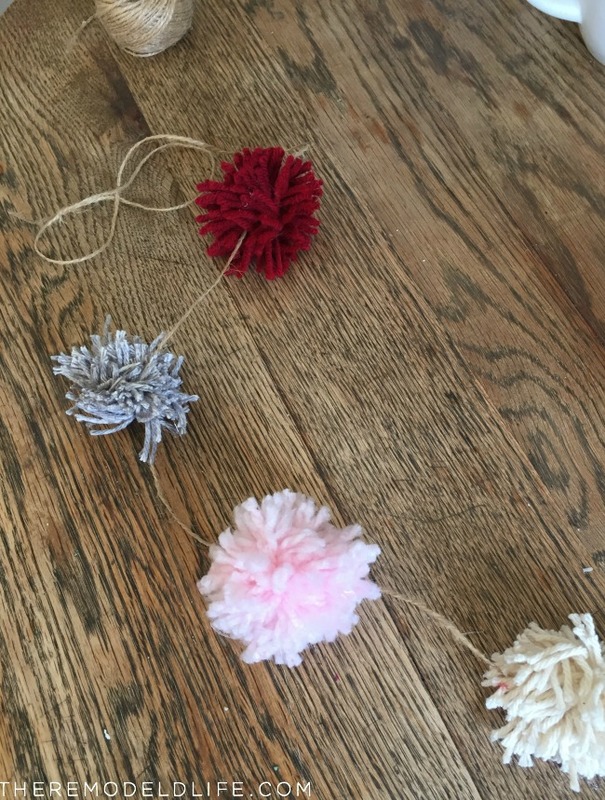 After you have your yarn pom poms made just line them up along your twine and hot clue them into place. Done! 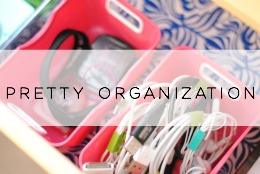 Super simple, and really cute. And also for a fraction of the cost something like this would cost in a store. The top of this cabinet gets changed up a lot over the year, right now I all about adding pink candles everywhere. 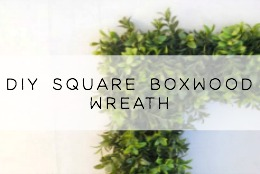 If you like the square boxwood wreath, I made that too! 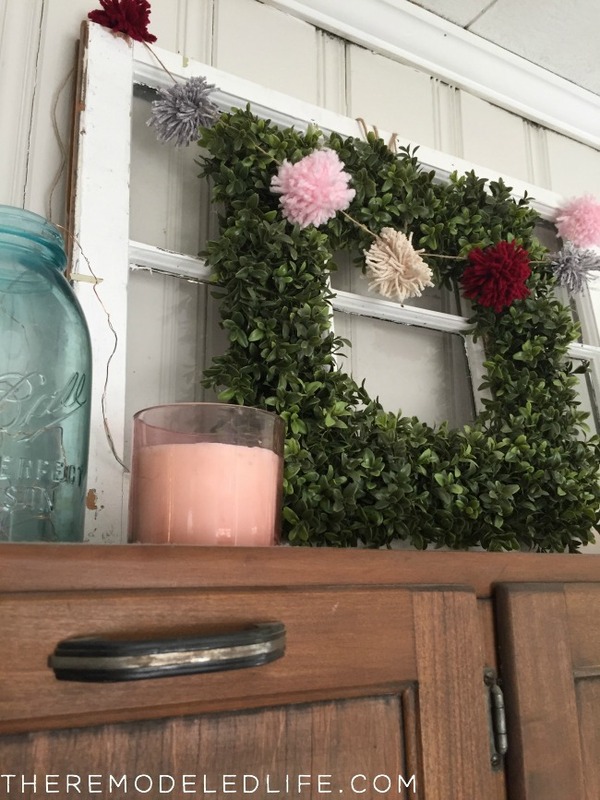 I have an easy diy tutorial on how to make a faux square boxwood wreath, I made this wreath years ago and still use it all of the time. Let me know what kind of decorating you guys like to do for the little holidays or seasons! I love to hear ideas. 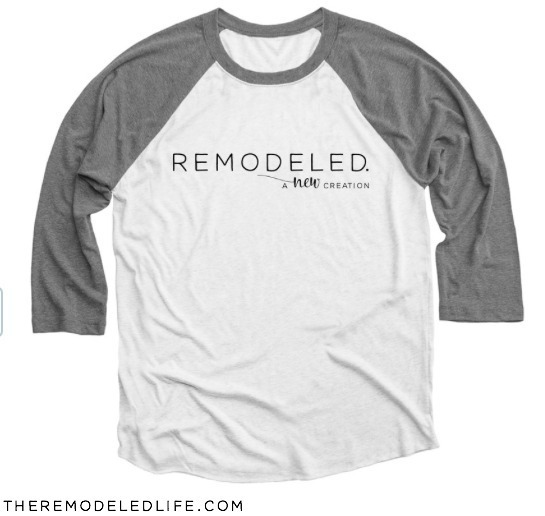 Don't forget, Only 6 days left to grab a Remodeled Tee! You can order one here.